Truckers often drive long distances, trying their best to meet strict deadlines to get products where they need to go. Unfortunately, the monotony of driving that far and for that long makes you tired, and driving while tired is obviously a huge no-no. Ford knows that, and for the 60th anniversary of its truck production in Brazil the company has decided to unveil a brand new product: a smart cap. The hat is called the Ford SafeCap, and it was created in collaboration with Brazilian creative agency GTB. 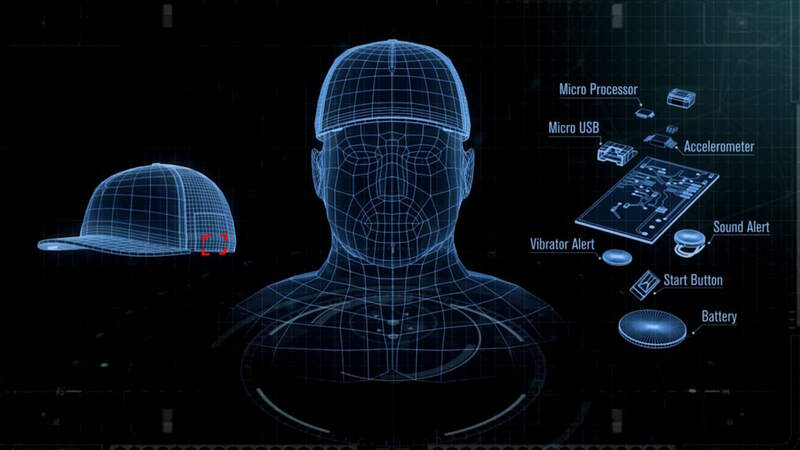 The SafeCap is lined with gyroscopes that can tell when you're moving your head. If it senses that you'd nodded off to sleep, the hat will alert you with sound, light and vibration in an attempt to wake you up. But how does it know if you're actually falling asleep or whether you're just looking around at the rolling hills on the way to your destination? Ford conducted research into head nods, looking into what kind of nods were just part of daily trucking and which nods were indicative of fatigue and falling attention. The company then distilled all that research into fancy software that could tell the difference and loaded it into the SafeCap. Now, Ford isn't going to start selling these things in its dealerships. The SafeCap started as an experiment in a single market, but once its done testing the hat in Brazil it's looking to expand into other markets. The hat was officially unveiled at South America's largest truck show, and the company tells Fast Company says it's gotten thousands of requests into how to actually buy it. Unfortunately for truckers, Ford is looking for partners to continue to refine the SafeCap and to be able to scale it to bigger and bigger markets. Driving while fatigued is a growing issue, with Reuters reporting that it's just as bad as driving drunk. So truck drivers, would you wear a Ford SafeCap? Let us know in the comments below.